Filter fan units Various cleanroom concepts such as negative pressure plenum or air recirculation operation can be implemented using filter fan units. Alongside their use in supplying larger cleanrooms, filter fan units can also be used to implement cleanroom islands or clean workplaces. We present an immaculate line of Air Handler Fans that is high efficiency fan designed particularly for handling hot air, gases and fumes. These highly efficient fans are sturdily designed and are used in various industrial applications. Specification from Rs 2000 -10000 . Being a customer centric organization, we are involved in manufacturing, distributing, trading and supplying a supreme quality range of Hand Operated Winnowing Fan in Faridabad, Haryana, India. These fans are manufactured by utilizing supreme quality raw materials and innovative technology. Furthermore, we provide this Hand Operated Winnowing Fan at very nominal rates. For a well ventilated enclosure. Universal roof ventilation unit which provides high air flow while keeping noise down. 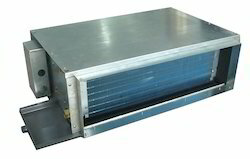 Fan Units are used for forced air circulation in enclosed racks for efficient cooling and forced ventilation. Recommended for racks of size upto 30U and moderate equipment density.